The Ignition Factor, known in Japan as Fire Fighting (ファイヤー・ファイティング? ), is a video game for the Super Nintendo Entertainment System published by Jaleco Entertainment. The game features firefighters in realistic situations saving civilians in burning buildings, mining incidents, and industrial accidents. It was released on the Wii Virtual Console in Japan on March 1, 2011, in the PAL region on April 29, 2011, and in North America on August 25, 2011. Illusion of Gaia (ガイア幻想紀, Gaia Gensōki?, lit. "Records of the Illusion of Gaia"), known in Europe and Australia as Illusion of Time, is an action role-playing game that was released on September 1, 1994, for the Super NES. 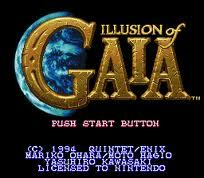 Developed by Quintet, Enix published the game in Japan, and Nintendo published it worldwide.Illusion of Gaia was scored by Yasuhiro Kawasaki. Moto Hagio, the influential manga artist, is credited with the character designs. Novelist Mariko Ōhara worked on the story. 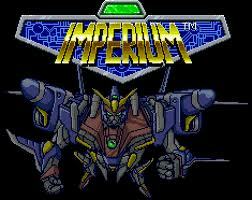 Imperium (Armored Maneuverer Dion [機動装甲 ダイオン] in Japan) is a vertical scrolling Shooter developed by Vic Tokai in 1992 for the Super Nintendo Entertainment System system. 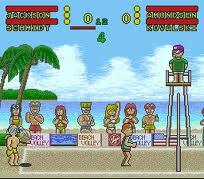 Super Beach Volley is a Sports game, published by Virgin Interactive, which was released in Japan in 1995. 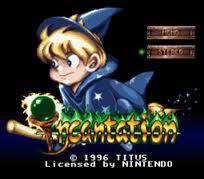 Incantation is a Super Nintendo Entertainment System platforming game released in 1996 by Titus Software. The Incredible Crash Dummies (信じられないほどのクラッシュはダミー? 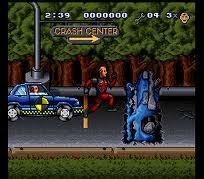 ), is an action video game for the Sega Master System, released by Sega and published by Flying Edge in 1993. Japan was only able to see a Super Nintendo and Sega Game Gear release. The Incredible Hulk is a side-scrolling action video game released for the Super Nintendo Entertainment System, Sega Genesis, Sega Master System, and Sega Game Gear. The game was originally released on August 1994 and was published by U.S. Gold. 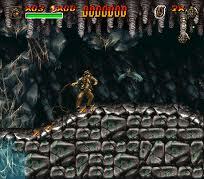 Indiana Jones' Greatest Adventures is a 1994 platform video game released for the Super Nintendo Entertainment System. It is a video game adaptation of the Indiana Jones films Raiders of the Lost Ark (1981), Indiana Jones and the Temple of Doom (1984), and Indiana Jones and the Last Crusade (1989). 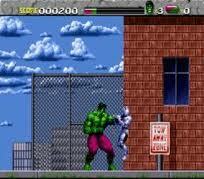 The game was developed by Factor 5 and published by JVC Musical Industries, Inc. The story is told through cutscenes and text and is mostly faithful to the movies. Its release coincided with that of Super Star Wars: Return of the Jedi, also released by JVC and LucasArts and in the same platform style as the Super Star Wars trilogy.A Sega Mega Drive/Genesis port of the game was apparently completed and ready to be released between summer and autumn of 1995, and was reviewed in GamePro (#73, August 1995, rated 3.5 out of 5.0) and in Germany's GAMERS (November 1995 issue, rated 2 (B Grade). 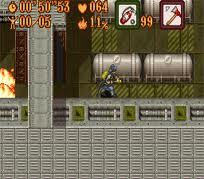 Like many third-party titles near the end of the Genesis' life, however, the game was shelved and was never released. Indiana Jones' Greatest Adventures is a 1994 platform video game released for the Super Nintendo Entertainment System. It is a video game adaptation of the Indiana Jones films Raiders of the Lost Ark (1981), Indiana Jones and the Temple of Doom (1984), and Indiana Jones and the Last Crusade (1989). 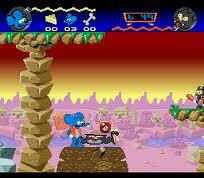 The game was developed by Factor 5 and published by JVC Musical Industries, Inc. The story is told through cut-scenes and text and is mostly faithful to the movies. Its release also coincided with the release of Super Star Wars: Return of the Jedi, also released by JVC and LucasArts and in the same platform style as the Super Star Wars trilogy.A Sega Mega Drive/Genesis port of the game was apparently completed and ready to be released between summer and autumn of 1995, and was previewed in Electronic Gaming Monthly (#73, August 1995) and even reviewed in GamePro (#73, August 1995, rated 3.5 out of 5.0) and in Germany's GAMERS (November 1995 issue, rated 2 (B Grade). But like many third-party titles near the end of the Genesis' life however, the game was shelved and was never released, and no known copies have been released to the public. 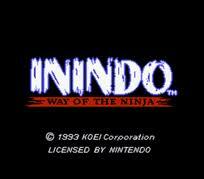 Inindo: Way of the Ninja (伊忍道　打倒信長 or Inindou Datou Nobunaga, スーパー伊忍道　打倒信長 or Super Inindou Datou Nobunaga in its Super Famicom version) is a role-playing video game developed by Koei. Originally released for the PC8801SR, PC9801, MSX2 home computer and Sharp X68000, it was remade for the Super NES platform, which was released in North America. 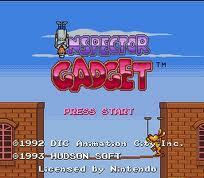 Inspector Gadget is a 1993 side-scrolling action video game for the Super Nintendo Entertainment System based on the television show of the same title. The game was released by Hudson Soft, with developers who also worked on Hudson's video game adaptations of SWAT Kats: The Radical Squadron and An American Tail: Fievel Goes West.The normally bumbling Gadget is portrayed as fairly competent as he must rescue his niece Penny from the clutches of Dr. Claw and his M.A.D. terrorist organization. Dr. Claw's face makes a rare appearance in the game, unlike the cartoon, which keeps his face hidden. A hidden debug menu is used to test certain options like god mode, a stage select with every playable level available, and a complete test of all the sound effects/music found while playing the game. International Tennis Tour (インターナショナル・テニスツアー?) 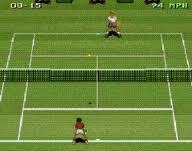 is a tennis video game released for the Super NES/Super Famicom. Major Title (メジャータイトル?) 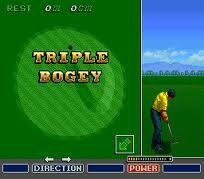 is a golf video game that was released to arcades in 1990. A version of the game for the Super Nintendo Entertainment System as well as an arcade sequel, Major Title 2: Tournament Leader, were released in 1992. The SNES game and the arcade sequel were released in the United States as The Irem Skins Game. Iron Commando: Koutetsu no Senshi (アイアンコマンドー 鋼鉄の戦士?) 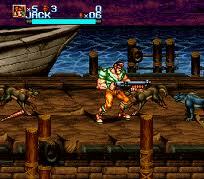 is a beat 'em up video game developed by Arcade Zone released on February 10, 1995 in Japan for the Super Famicom. A soldier named Jack and a kung-fu master named Chang Li are the Iron Commando field team. They must cross ten different environments to save the world, fighting against punks, gunfighters, knights and any kind of strange creatures. The Itchy & Scratchy Game is a platform video game that was released for the Super Nintendo Entertainment System (SNES), and Sega Game Gear. It stars the mouse and cat Itchy and Scratchy from the American animated television series The Simpsons, and features the classic gory violence from the show. The main character is Itchy, who has to fight Scratchy. Reception of the game has been generally negative. 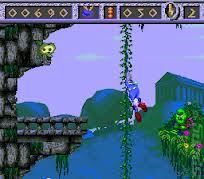 Izzy's Quest for the Olympic Rings is an Action game, developed by Alexandria and published by U.S. Gold, which was released in 1995.